Did You Know Mongolia Just Got Its First Ski Resort? This winter season is full of Olympic hype (more to come on my plans soon), and for the first time ever, Mongolians can join in the fun. In November, the country’s first ski resort opened outside of its capital, Ulan Bator. 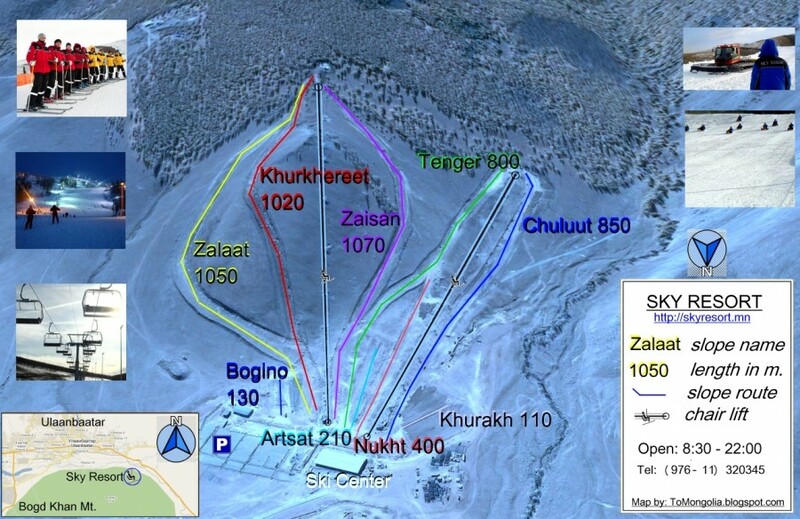 Who knows what Sky Resort will do to the legacy of Mongolian alpine skiing? The NY Times reports that the mountain boasts a mere seven runs, two lifts, and about 675 vertical feet, which doesn’t sound like much, but a Matador community member, fresh off the runs, says it’s the Sky Resort’s lodge facilities that make your trip worth it: “spacious facility made a pretty convincing case for a legitimate ‘resort,’ comparable to something back in America.” So, if you have some time to kill this winter, I suggest you opt for this side trip; full day lift tickets cost around 16,000 tugrik, or about $11. Everyone’s looking for new terrain, right? One of those seven runs is reported to be groomed for ski racing. I thought Japan’s team was going to surprise people at this year’s games, but perhaps I should rethink that prediction . . .